Home / Recipe / Best Lemon Pancake Recipe Ever! Best Lemon Pancake Recipe Ever! These are delicious!! I love lemon, that is my "happy" flavor. This easy lemon pancake recipe is everything you'll want to eat. Lemons are high in pectin fiber, which absorbs water and flushes it out of your system, which helps you lose weight. I really recommend using the lemon zest, it really amps up the lemon flavor in this super easy lemon pancake recipe. 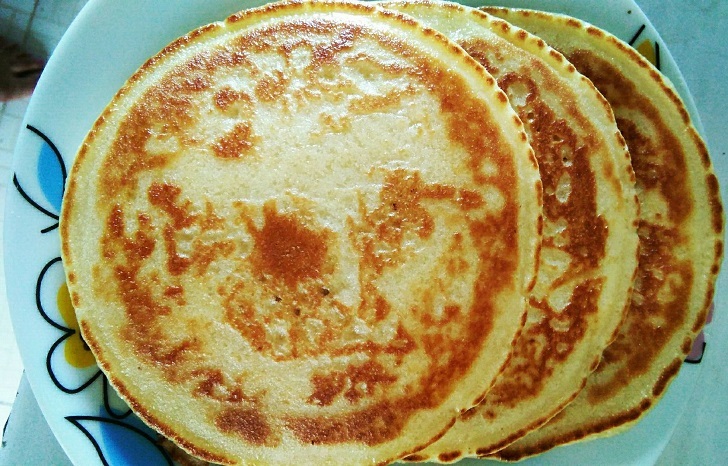 Also, and here is my little secret for perfect pancakes every day: Cook them in a small pan (like the one you would use to make fried eggs) The result is pancakes with the same size that look straight out of a pancake commercial. In a bowl mix the oil with the sugar. Add the eggs and the milk and continue mixing. Slowly incorporate the flour and baking powder and mix until there are no lumps left and the batter is shiny. Pour the lemon juice and the lemon zest and mix for 1 more minute. Lightly grease a pan and place it over medium heat. Once the pan is hot add ¼ cup of batter and cook until there are small bubbles on top. Flip and cook for 1 more minute. Remove from the heat. Serve while hot with butter. Enjoy!